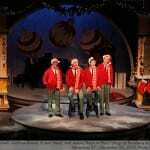 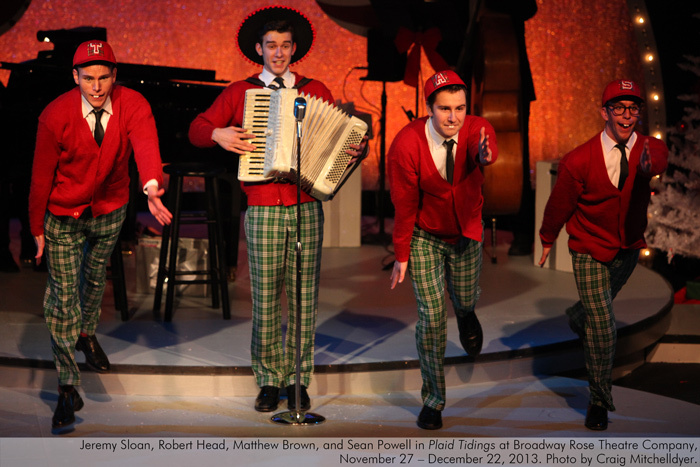 The “heavenly” quartet The Plaids aren’t sure why they’ve returned to Earth for a posthumous performance, but a phone call from Rosemary Clooney lets them know that they’re needed to put a little holiday harmony into a discordant world. 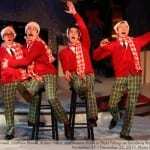 The boys perform ’50s and ’60s musical favorites and a riotous version of “The Ed Sullivan Show” featuring the Rockettes, the Chipmunks, and The Vienna Boys Choir; and a Plaid Caribbean Christmas that puts the “Day-O” in Excelsis! 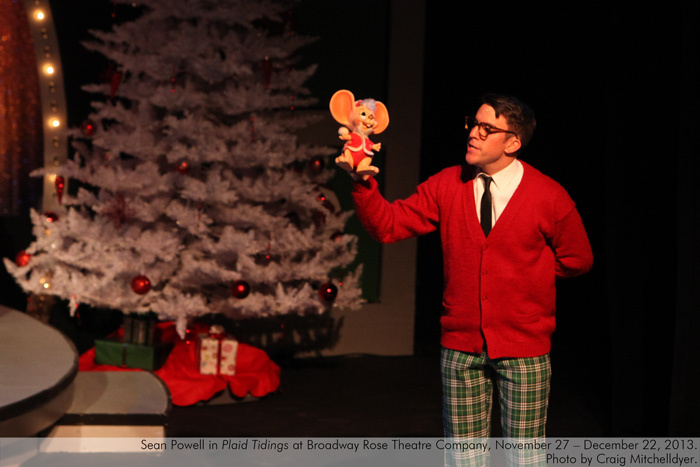 During the run of Plaid Tidings, Broadway Rose is partnering with Good Neighbor Center to collect important items for our neighbors struggling with homelessness. 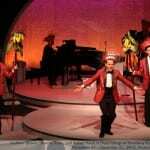 Click here to find out how you can help! 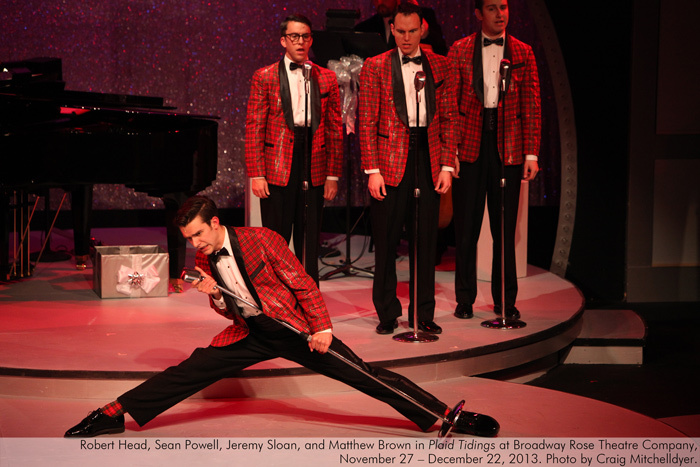 Matthew Brown (Sparky) This is Matthew’s 5th production with Broadway Rose, and he couldn’t be more excited to return to this wonderful company. 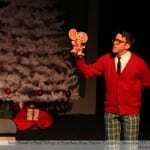 Some favorite previous roles include Princeton in Avenue Q (triangle productions! 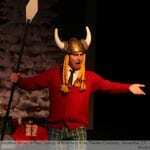 ), Marius is Les Misérables (Staged! 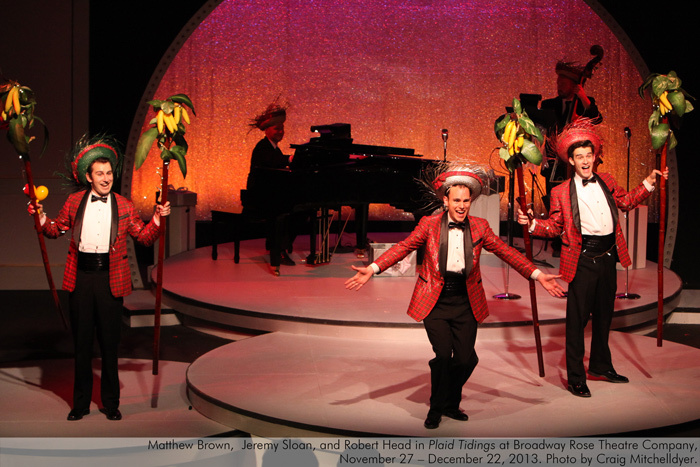 ), Marco in Gondoliers (Mocks Crest), Gideon in Greenwillow (Lakewood Theatre Company), and Bobby Strong in Urinetown (Theatre in the Grove). 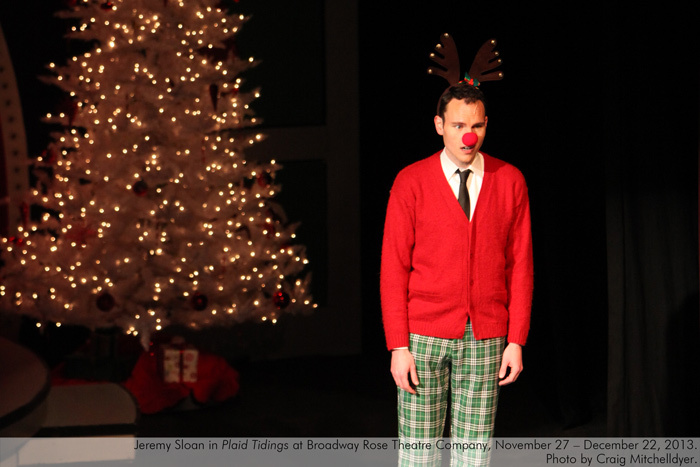 He would like to thank his family for their continuous support, Dan and Jeffery for this wonderful opportunity, and of course Robert, Jeremy, and Sean for being the best Plaids a Plaid could ask for! 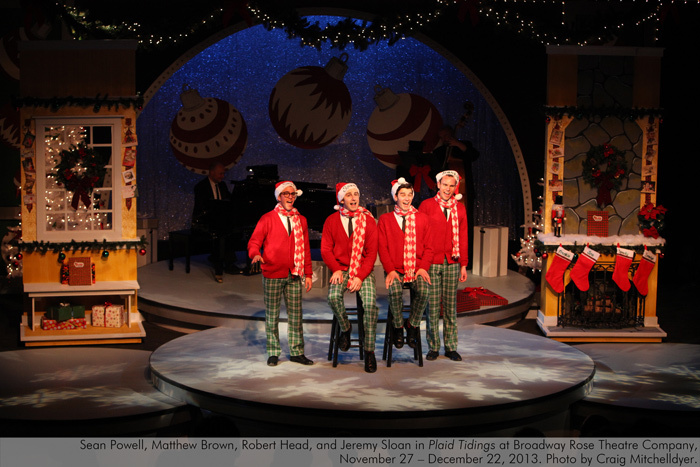 Those who don’t require their Christmas traditionals sung to completion—or who don’t care much for context—will appreciate stars Matthew Brown, Robert Head, Sean Powell and Jeremy Sloan, who are such a polished quartet it seems they could have been rehearsing since the ‘50s. 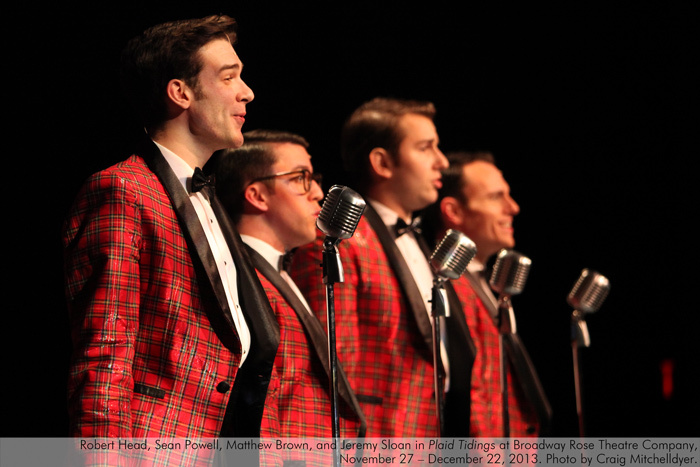 Their vocals are clean, without a hint of grit, and their choreography is spot-on…Read more. 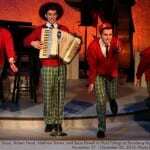 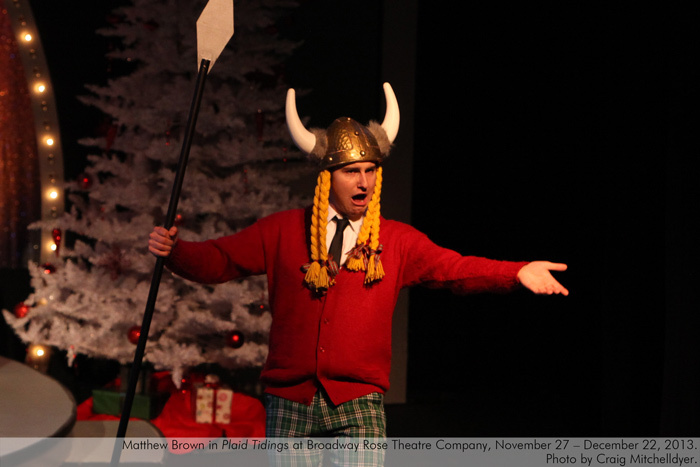 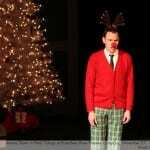 Last night’s production of Plaid Tidings at Broadway Rose would stymie a critic – there is, quite simply, nothing to criticize. 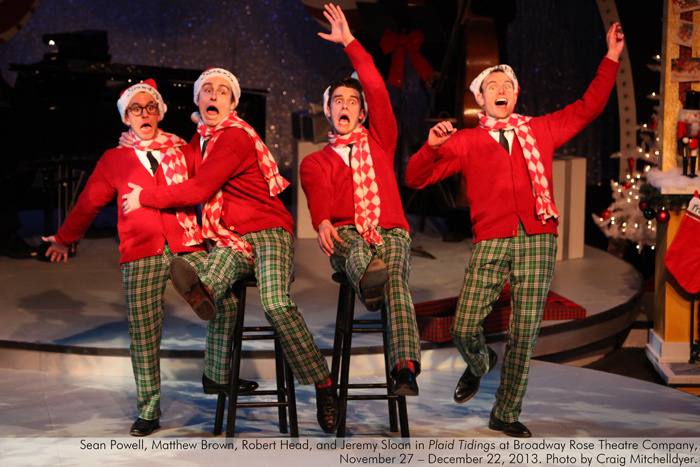 The show is not just perfect, it’s: wonderful, enchanting, festive, funny, wistful, heartwarming… everything a Christmas show should be…Read more. 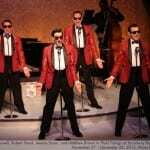 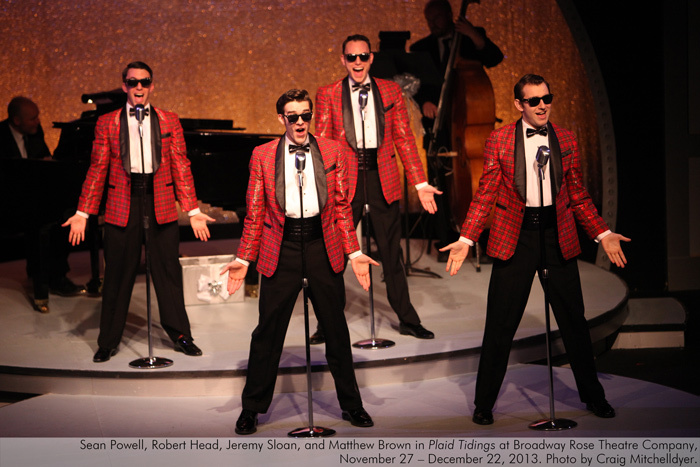 Just like the fictional Plaids, the Broadway Rose quartet is composed of four unique young men who just love to perform…Read more.